Bully is the story of Jimmy Hopkins, a teenager who's been expelled from every school he's ever attended. Left to fend for himself after his mother abandons him at Bullworth to go on her fifth honeymoon, Jimmy has a whole year at Bullworth ahead of him, working his way up the social ladder of this demented institution of supposed learning, standing up for what he thinks is right and taking on the liars, cheats and snobs who are the most popular members of the student body and faculty. If Jimmy can survive the school year and outsmart his rivals, he could rule the school. Bully is a gay simulator that will make you gay. If you play it, you'll choose to be a gay, and you'll vote for Obamacare. 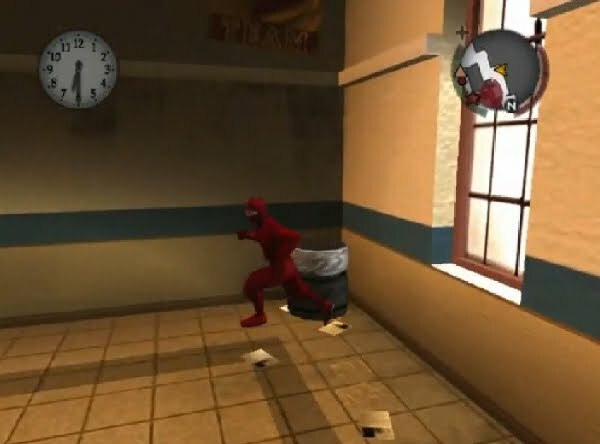 Bully is the story of a teenage boy who dresses up like a ninja and collects rubber bands. The first of the above statements is a (very slightly altered) quote I found on the Rockstar Web site. It is the developer's official description of Bully. The second is nonsense, obviously, but it's also the description I heard most often before playing the game for myself. I expect that for most people who have heard of Bully but not played it, this is the image they have in mind. The third statement is the my own account of the plot after completing the final mission in Bully earlier this week. I stand by it as the most accurate description of the three. I've played shockingly few narrative-driven games that manage to reconcile the story being told through dialogue and cut-scenes with the story of my in-game actions. Final Fantasy VII, for instance, is ostensibly the tale of a kid with misshapen arms and spiky yellow hair saving the world from a guy with spiky white hair. This literary masterpiece is, even fifteen years later, the subject of endless praise and fan-fiction, which is weird, because what I most remember from that game is selectively breeding giant birds, snowboarding, and fighting thousands of little red bomb guys while waiting for my numbers to get bigger. My point is, narrative disconnect is widespread, and hardly unique to Bully. In fact, it's a complaint critics have with nearly every game Rockstar develops, yet the company shows no sign of changing direction. The games keep selling gangbusters, and they garner ludicrously positive review scores regardless of their storytelling deficiencies. Still, as much as I enjoyed playing Bully, as inviting as I found the world, and as much as some of the dialogue made me laugh, I just couldn't get over the plot. All the meaningless betrayal, the territorial faction, the sudden mood shifts, the stereotypes posing as characters - actually, replace "nerds" and "jocks" with "Yakuza" and "Mafia," and Bully is indistinguishable from Grand Theft Auto. So why does this bother me so much when I'm content to shrug off the shortcomings of GTA? It's all about setting. Grand Theft Auto is set in the world of gangster movies. I'm familiar with that setting, but I can't identify without it. It's fully removed from my reality. Bully, though? That's set in a high school. I spent four years in high school, bookended on either side by junior high and college. That's my world. There are plenty of missions about joining the dodgeball team and dissecting frogs. That stuff's great, and well-suited to the medium of video games, but when Bully tries to grab me with drama about pseudo-gang-warfare and sneaking into an asylum, I lose interest. What kind of high school bully game has you creep around a mental hospital, but doesn't feature any school dances? Way to lose sight of your premise, Rockstar! You know what is good, though? Putting on a skeleton costume, jumping on a bike, and looking for lawn gnomes to kick. Getting lost in the town of Bullvale is a blast, and the amount and variety of activities available at any time is incredible. Bully is superb, and easy to recommend. It's just a shame that the weak narrative of this "Grand Theft High School" is so limited by Rockstar's crime-drama obsession. 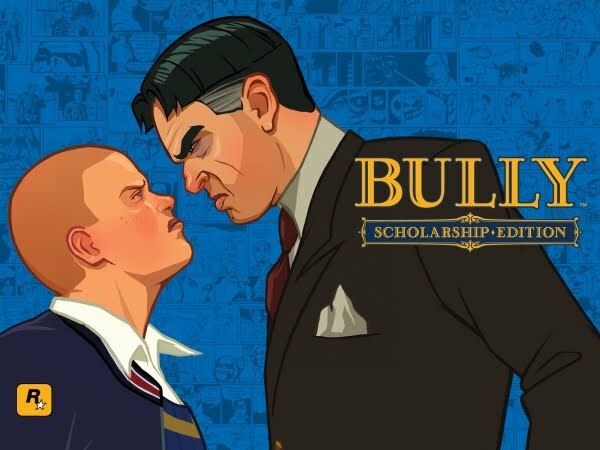 *By reading this and/or any other writing about Bully, Bully: Scholarship Edition, or Canis Canem Edit, you are agreeing to become a gay homosexual. Furthermore, as a sissy homosexual gay pansy liberal, you agree to try to gay-marry any and all children you encounter, and hereby forsake all of Jesus' love, as detailed in the secret Gay Code. Hot Lavy is a site about video games, updated daily. And really, those are the only rules here. As long as a piece can be connected to the world of video games in some clear and meaningful way, it's admissible. News, reviews, interviews, criticism, editorials, videos, graphs, podcasts, comics, songs - if we think it's entertaining or informative (and not too fan-fiction-y), it's eligible for publication, regardless of form. Jake is larger than a breadbox and has the power to see through transparent materials. He dislikes chairs. All articles by Jake Spencer except where otherwise noted.